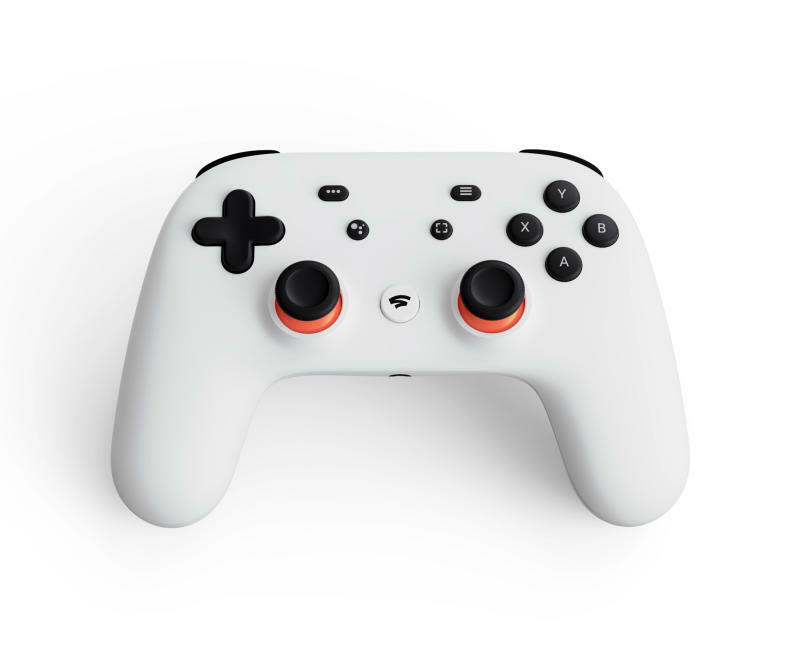 NEW YORK (AP) -- Google on Tuesday unveiled a video-game streaming platform called Stadia, positioning itself to take on the traditional video-game business. The platform will store a game-playing session in the cloud and lets players jump across devices operating on Google's Chrome browser and Chrome OS, such as Pixel phones and Chromebooks. Google didn't say how much its new service will cost, whether it will offer subscriptions or other options, or what games will be available at launch —all key elements to the success of a new video-game platform. It said only that Stadia will be available in late 2019. Google made the announcement at the Game Developers Conference in San Francisco. Some industry watchers were expecting a streaming console, but Google's platform centers squarely on the company's cloud infrastructure. "The new generation of gaming is not a box," said Google Vice President Phil Harrison. "The data center is your platform." Much like movies and music, the traditional video-game industry has been shifting from physical hardware and games to digital downloads and streaming. Video-game streaming typically requires a strong connection and more computing power than simply streaming video, since there is real-time interaction between player and game. Google says it is leveraging its data centers to power the system. Alphabet Inc.'s Google said playing video games will be as simple as pressing a "Play Now" button, with nothing to download or install. An optional dedicated Stadia controller will be available. The WiFi-enabled controller has a button that lets players launch a microphone and use Google Assistant to ask questions about the games being played. Another button lets users share gameplay directly to Google's video streaming service, YouTube. Harrison said he expects all gaming will eventually take place outside consoles, in cloud-powered streaming platforms similar to what Google announced. But not right away. "It won't replace traditional games devices overnight," he said in an interview after the announcement. "And we wouldn't be here if not for the existing traditional platforms." CFRA Research analyst Scott Kessler said Google's approach that ties YouTube sharing and video-game playing is unique. "It is not necessarily at this point the easiest thing for people to livestream their games and now you can do it with the push of a button," he said. "What they've done with Stadia is to connect and unify both the gaming platform and the streaming platform which obviously is new." The company said Stadia will be available in late 2019 in the U.S., Canada, the U.K. and parts of Europe. Google showed demos of "Assassin's Creed Odyssey" and "Doom Eternal." More information about games and pricing is due this summer. The U.S. video game industry raked in revenue of $43.4 billion in 2018, up 18 percent from 2017, according to research firm NPD Group. BTIG Managing Director Brandon Ross said Stadia will be a positive for game publishers "assuming that it works and works at scale, which is a big assumption." That's because the platform could bring in players not willing to spend the money upfront for a gaming PC or a console. "What they're presenting is a feasible way to play videogames in the cloud, and utilizing the cloud so you can play anytime, anyplace and anywhere," he said. "There's no friction, including the friction of upfront hardware costs." Ross added that Google's platform could set up a distribution battle between Microsoft, which owns the Xbox, Sony, which owns the PlayStation, Google and perhaps Amazon, which reportedly is working on its own video-game service, as they race to lock down distribution of the most in-demand games. To that end, Google launched Stadia Games and Entertainment which will develop Stadia-exclusive games. "The differentiator for any of the distributors on a console or in the cloud is going to be available content," he said. Harrison said Google will rely on outside publishers and game developers to provide many of the games available on the platform. But having its own inside studio will also allow the company to fully test and make use of new features. "We can be the advance party, so to speak, and we can be testing out the latest technology," he said. "Once we've proven it we can help bring that up to speed on the platform even more quickly with our third-party partners." Harrison acknowledged Google faces stiff competition from longtime rivals Microsoft, Sony and others. Google has been working on Stadia for more than four years, he said, and has been working with game developers through Android and Play Store for longer. The others have more than a decade of experience. But Google believes it brings something new. "We are not a historical console or PC platform," he said. "We are built specifically for this new generation." AP technology writer Rachel Lerman in San Francisco contributed to this story.